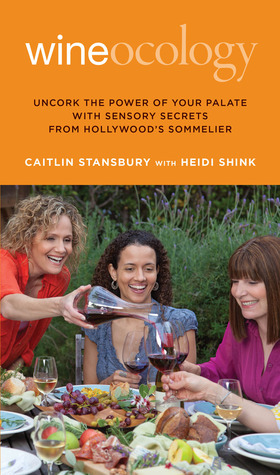 Goodreads: Take the mystery out of Merlot and put the pleasure back into pairing and sharing wine with sensory secrets from Hollywood’s Sommelier! Caitlin Stansbury’s revolutionary book will teach you to understand what wines you like and why you like them so that you can evaluate and enjoy their sensual delights on your own terms, regardless of price tags or product reviews. The crown jewel of Wineocology is Caitlin’s "Simple Sommelier System," the groundbreaking program that changes the way you see, smell, touch, and taste wine. A strengthening system for your senses,Wineocology shows you how to sharpen your eyes, nose, and mouth so that the information they provide is used to expand and enhance your relationship with wine. Whether you are an adventurous beginner or a seasoned connoisseur, Wineocology will make you an expert wine-know! Kritters Thoughts: A different kind of wine book that takes an educational approach to make any wine drinker a better educated and more aware wine drinker. By using all of the senses that every individual uses on a daily basis, Stansbury brings wine to the people to allow for everyone to learn a new way to approach wine and enjoy it at a fuller level. I consider myself a fan of wine and before reading this book, knew my fair share of the basics of wine, but have always wanted to read a book that could give me a little more knowledge to grow on - this book did it. I felt that it had the basics in a fresh way to remind myself of them and then it had the advanced learning presented in a way that was easy to read, understand and then implement. My one challenge for the book was the repetition - I felt like there were some spots where some concepts were driven home a few too many times and could have been left out. A wine book for the masses and a perfect gift for someone who is wanting to get into wine or who is getting into it and needs a little more.